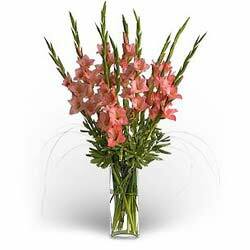 Morrisons is selling bunches of gorgous gladioli for just 1.49 a pop. Although the bouquets aren’t quite as sumptuous as the one pictured, it’s still a very good price. I love these flowers. I’m growing them in my garden, too.